Kattner Orthodontics strives to provide the highest quality of orthodontic treatments such as Invisalign and braces to those in Gurnee, IL and the surrounding areas. We’re proud to deliver outstanding care to people of all ages, including the youngest ones in your family. As your trusted Gurnee, IL orthodontist, we offer early orthodontic treatment to evaluate your child for orthodontic issues before they develop further into problems that require more complex and costly orthodontic treatment. The American Association of Orthodontists recommends that a child get his or her first orthodontic screening at the age of seven. At this age, a child’s first molars have typically started to emerge. This allows Dr. Kattner the earliest chance to get a basic grasp on the alignment of the teeth from front-to-back and side-to-side, as well as be able to tell if the mouth will be able to accommodate all of the permanent teeth. It’s important to note that this early screening doesn’t necessarily mean treatment is necessary if there’s an orthodontic concern. In many cases, Dr. Kattner and his team will simply monitor your child’s dental development and growth patterns until we find the most opportune time to begin orthodontic treatment. This allows Kattner Orthodontics to achieve the best possible smile for your child. When Is Early Orthodontic Treatment Beneficial? Severe crossbite – This is a condition where the upper teeth close inside the lower teeth. Dr. Kattner can use a device called a palatal expander to gradually and painlessly widen the upper jaw. 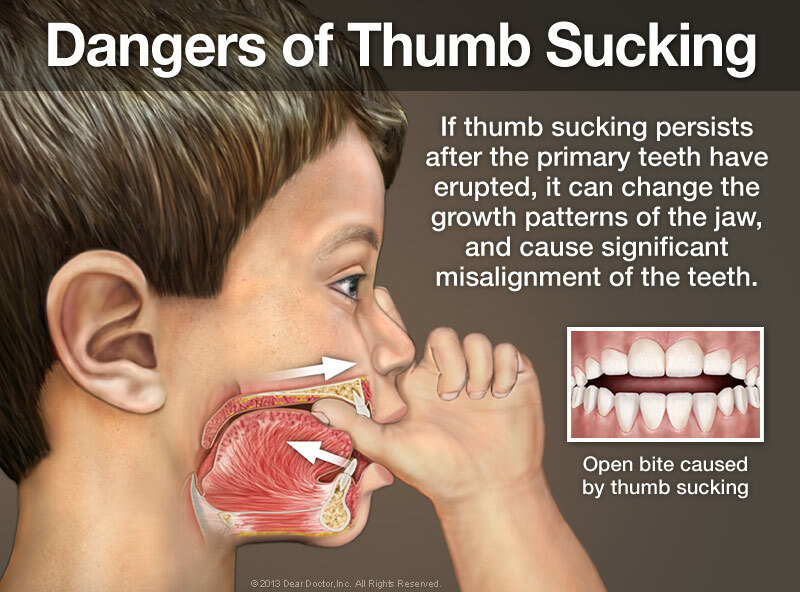 It’s more effective when a child’s jaw is still developing. 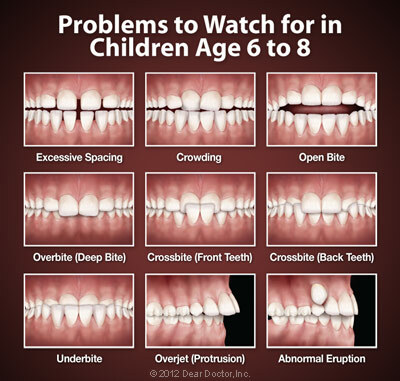 If you wait too long to treat a severe crossbite, the condition may require a more complicated orthodontic treatment. Severe crowding – Crowding occurs when the jaw is too small to accommodate all of the permanent teeth. Palatal expansion or tooth extraction will likely be recommended by the orthodontist in this scenario in order to help the permanent teeth erupt. Even if braces are eventually needed, early intervention will still shorten the treatment time. Severe underbite – An underbite occurs when the lower jaw grows much bigger than the upper jaw. This can cause serious bite problems. Orthodontic appliances such as braces and headgear can be used to help fix this problem. Orthodontic treatment is more likely to be successful while a child’s jaw is still developing. Protruding teeth – When teeth are protruding, they are much more likely to be chipped or fractured. This can also cause problems with a child’s self-image. Braces and headgear can also be used to treat this condition. Can Early Orthodontic Treatment Correct Bad Habits? Thumb sucking – This is a natural reflex in many children that usually goes away between the ages of two and four. 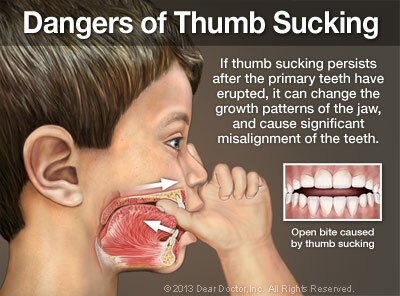 If this habit persists, the thumb will apply force over a period of time to the upper jaw and front teeth, possibly causing the jaws to change shape and the teeth to drift apart. This can impair speech and lead to an open bite, a condition that exists when there’s a gap between the upper and lower teeth when biting down. Tongue thrusting – This is a behavioral pattern in which the tongue will protrude through the anterior incisors during speech, swallowing, or other activities. This can also cause an open bite. Mouth breathing – This is an abnormal breathing pattern where the mouth remains open and passes air straight to the lungs. This habit is related to alterations in the muscular function of the tongue and face and can cause both the upper and lower jaw to develop abnormally. This can lead to serious orthodontic problems. If you’re interested in scheduling an appointment for your child to receive an orthodontic evaluation, feel free to fill out our appointment request form. Alternatively, you can give us a call at (847) 244-7900 to get in touch with a team member at our Waukegan office. We would be happy to get an appointment scheduled for you or answer any questions you may have about early orthodontic treatment or any other orthodontic service we provide to the Gurnee and Beach Park areas. We look forward to hearing from you and helping your child develop a healthy smile for a lifetime.